senseFly, the world’s leading producer of professional drone solutions, recently announced a new software integration with Trimble Business Centre software, which optimizes the drone mapping workflow for geospatial professionals. This new collaboration ensures seamless integration between senseFly’s eMotion flight & data management software and the Trimble Business Center Aerial Photogrammetry module, ensuring the smoothest possible end-to-end mapping drone (UAS) workflow. 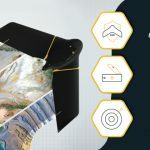 senseFly operators can now, within their drone’s recently launched eMotion 3.5 software, transform a senseFly S.O.D.A. camera’s georeferenced imagery into an automatically-collated project (in .jxl format). This enables the simple, one-click import of drone imagery into the Trimble® Business Center Aerial Photogrammetry module without the need for manual project creation and organization of images. 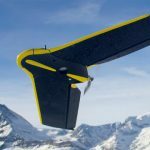 The senseFly S.O.D.A. is the first camera to be built for professional drone photogrammetry work. This 1-inch, 20-megapixel RGB camera captures amazingly sharp aerial images, across a range of light conditions, allowing senseFly fixed-wing drone operators to produce detailed, vivid orthomosaics and ultra-accurate 3D digital surface models. The unit is compatible with most senseFly fixed- wing mapping drones, including the large-coverage eBee Plus. In addition to producing powerful photogrammetric deliverables, Trimble Business Center allows surveyors and other geospatial professionals to combine aerial photography with data collected from GNSS receivers, total stations, 3D laser scanners and more, for a complete field-to-finish workflow. By easily combining imagery from unmanned aerial systems with ground-based survey data, users can visualize their project from both aerial and terrestrial perspectives, measure points within the images and create 3D models of the infrastructure and terrain.